Up to 3500 books are published in the US each day. So, how do you get noticed? Book reviews give a book credibility, increase visibility and attract new readers, but where do you start? Doris-Maria Heilmann’s incredibly useful guide, that’s where. You may be forgiven for assuming that the book is just one long list of does and don’ts. It is, thankfully, much more than that. The book is broken down into a number of chapters that look at the different parts of the review process. Yes, you get given information on where you can find people that ‘may’ review your book. In fact, each chapter contains a list of direct links to reviewers. But Heilmann delves deeper than just pointing and suggesting you ask ‘them’. Chapters cover many topics. From paid reviews and editorial reviews, to the etiquette of approaching reviewers in the first place. We’ve all had that over eager author, with no preamble, that just suggests we get their book and review it. No introduction or pitch. Not even a free copy of the book. 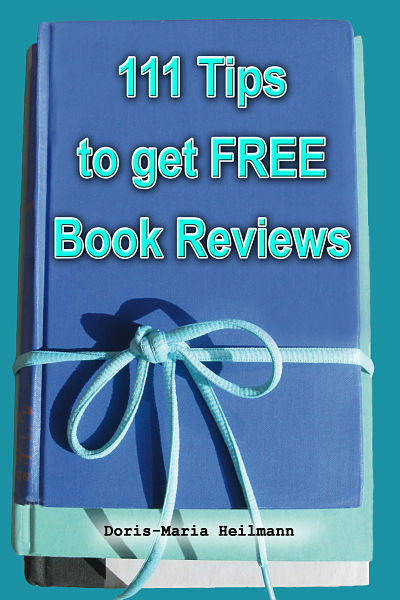 Heilmann carefully guides you through the best practice of getting your book reviewed. Interacting with reviewers long before you ever ask about the possibility of a review. The pitch, the media packs and the advanced reader copies. The groups to join, and importantly, what not to do. There’s even a section on dealing with negative reviews. Heilmann even takes the time to also look at Amazon’s and Apple’s review policies. That way you can ensure that any reviews you do get aren’t contravening the rules. Your family and friends may love your book, and that author you know may want to swap reviews, but is it worth it when the review will only be removed anyway? As with any guidebook, there is some repetition. It’s a close call on whether it’s deliberate for reinforcement purposes or not. In fact, I’ll let you be the judge of that. If you’re looking for a handy guide to help your book on its journey into the hands of more readers , I would certainly suggest you pick up a copy.